This week’s episode: Gift Giving, on Mightier Than the Sword! Co-host Steph and I give each other gifts that are unconstrained by budget or actual attainability. The expression “it’s the thought that counts” is what this exercise in generosity is all about. In addition to our mutual gift exchange, we talk about our favorite holiday movie and T.V. specials. Along the way I impressively quote the ghost of Jacob Marley and Steph beautifully reminds us that the rancor of current politics and ... See More pervasiveness of consumerism should not distract us from what the holiday season is all about: light, love, warmth, family, friends, and gratitude. It’s an episode that will have you genuinely embracing the spirit of the season. 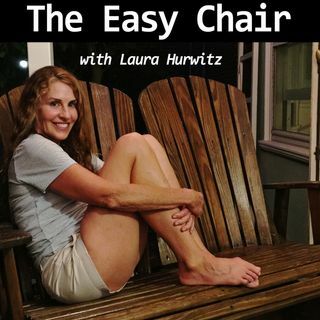 Any questions, comments, suggestions- please write us at easychairpodcast@gmail.com. We want to hear from you.